Yepvi Brown Trousers, stretchable and straight legged. The fabric is thicker than linen, triple stitched for long lasting wear and light and comfortable. 2 back pockets with buttoned closure and 2 side pockets, brand logo on right side at back. From the usual style wearing of pants these are more casual approach to pants. 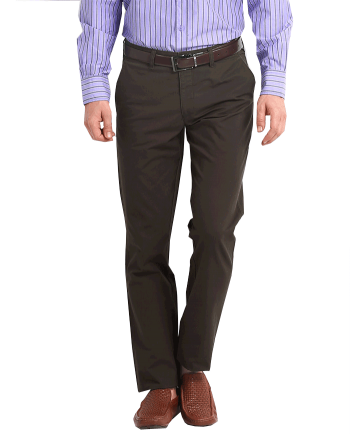 Trousers give a more stylish look when teamed in with a good shirt or a t-shirt. Are available in zippers and buttons style, with cotton, linen and wool fabric, according to your taste you can choose. There is a transformation in trouser from those dull colors which were available earlier, to the trendy one like mustard yellow, khaki color to solid beige all available at one place. The Yepvi brand which we have is designed with the finest fabric, tailored made fitting keeping in mind the taste of today's Youth.